Aw I love your TBR soooo much and thank you for spreading the word! I can’t wait for our buddy reads, lovely! I’m reading The Hazel Wood right now – so far, very original. Good luck! Oooh I like this. 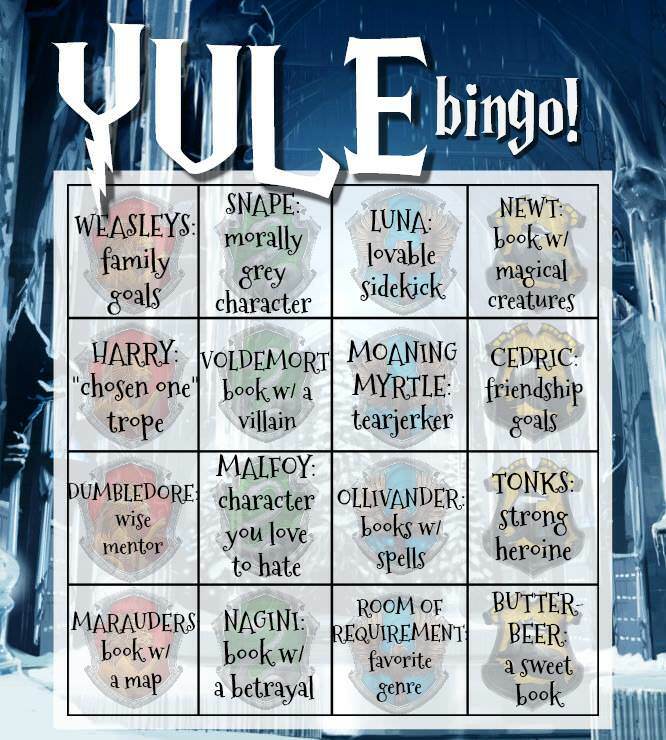 I’ll have to see if my existing December TBR fits in with any if the Gryffindor slots. Do any books count or does it have to be novels? (E.g. can I also use comics as I’m currently reading one that fits). Also the link to the Facebook group doesn’t seem to work? I don’t have a facebook–would I still be able to participate if I DM’d the admins my blog link?